Franke is the number one manufacturer of sinks in the world with 100 years of experience. Franke under mount stainless steel kitchen sinks provides the buyer with elegance, quality, versatility and functionality all combined in world class designs. 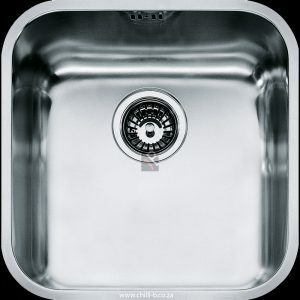 Franke is designed in Switzerland and 90 % of the sinks are manufactured in South Africa. Franke kitchen sinks use Austenitic Stainless Steel which ensures the finest quality and durability. There is a wide range of practical and innovative accessories available which can cater for the user’s every need.